This novel was inspired by a pastor’s sermon at our church. 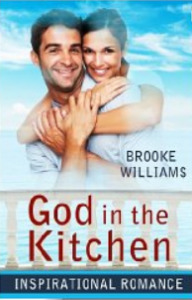 She basically asked the question, if God were to show up at your kitchen table, what would you say to Him? I took that one line and turned it into a novel. The novel is fiction and about a guy who is bumbling through his life. The guy happens to be a radio announcer so I was able to get a lot of my past experiences into the book. I had a lot of plans for the character, but I went on so long about one part that I was only able to make the book about his love life and not the other elements I had in mind. What resulted, though, is an inspirational and cute story that really meant a lot to me as I wrote it. "This is book is an awesome book. I definitely will be reading this again and sharing it with my friends and family to read. It shows how we need to ask God for everything and not just do things on our own because things will usually not turn out how we want them to if we do things on our own. I definitely recommend this book."